A nanofluid is a dilute liquid suspension of particles with at least one critical dimension smaller than ~100 nm. Research works so far suggest that nanofluids offer excellent heat transfer enhancement over conventional base fluids. The enhancement depends on several factors such as particle shape, particle size distribution, volume fraction of nanoparticles, temperature, pH, and thermal conductivities of nanoparticles and base fluids. 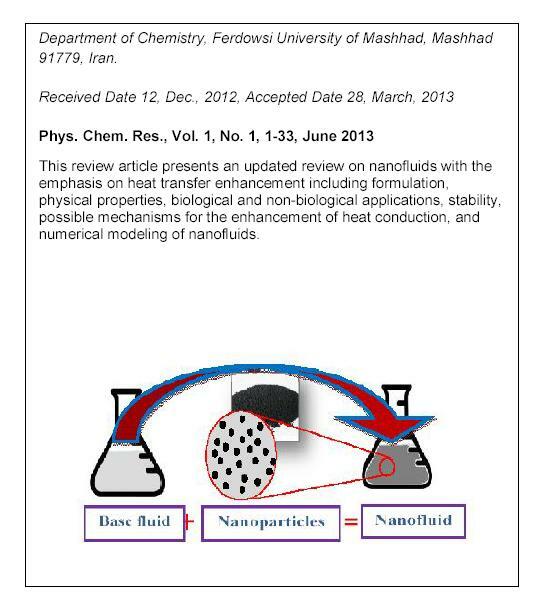 This paper presents an updated review on nanofluids with the emphasis on heat transfer enhancement including formulation, physical properties such as thermal conductivity, rheological properties, and surface tesion, biological and non-biological applications, stability, possible mechanisms for the enhancement of heat conduction, and numerical modelling of nanofluids. Based on the research findings, a number of challenges are emphasized in order to understand the underlying physics for future industrial take-up of the nanofluids technology. Further computational studies are also required in order to understand all of the factors affecting on the enhancement of thermal conductivity of nanaofluids. 39. Y. Zhang, Y. Qi, Y. Hu, J. Magn. Magn. Mater. 324 (2012) 2523. R.A. de Groot, F.M. Mueller, P.G. van Engen, K.H.J. Buschow, Phys. Rev. Lett. 50 (1983) 2024. I. Galanakis, P.H. 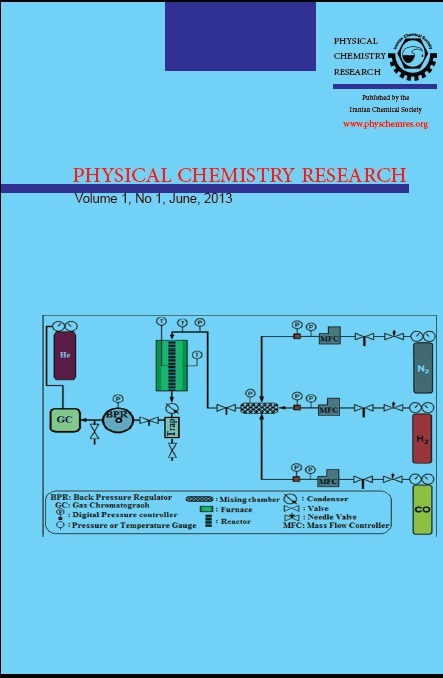 Dederichs, N. Papanikolaou, Phys. Rev. B 66 (2002) 134428.